This summer, I had the pleasure of participating in the Young Leaders Institute (YLI) hosted by SAALT in Washington D.C., where the focus of the Institute was to engage around LGBTQ justice and allyship. My entry point into this activist-based leadership training program was a culmination of numerous factors, but mainly due to the intersection of several of my identities: queer, Muslim, and Bangladeshi. In addition, I don’t view my gender as falling within the binary gender spectrum. Growing up in Bangladesh for 19 years in a predominantly conservative Islamic society and then attending a feminist liberal arts women’s college paved the way for my ultimate entry into a social justice arena where I can consistently immerse myself in gender and sexuality topics from an intersectional perspective. 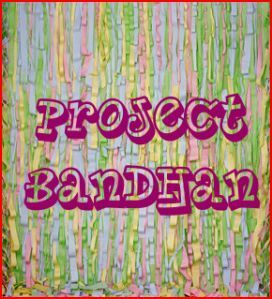 The preliminary idea for my YLI project, Project Bandhan, came about through my conversations that were generated via a South Asian caucus at the 2013 National Queer Asian Pacific Islander Alliance (NQAPIA) conference. Project Bandhan is a video campaign that will consist of a series of 2-5 minute videos or photovoice interviews showcasing various desi queer and gender nonconforming folks and their relationships with their respective parents or parental figures. 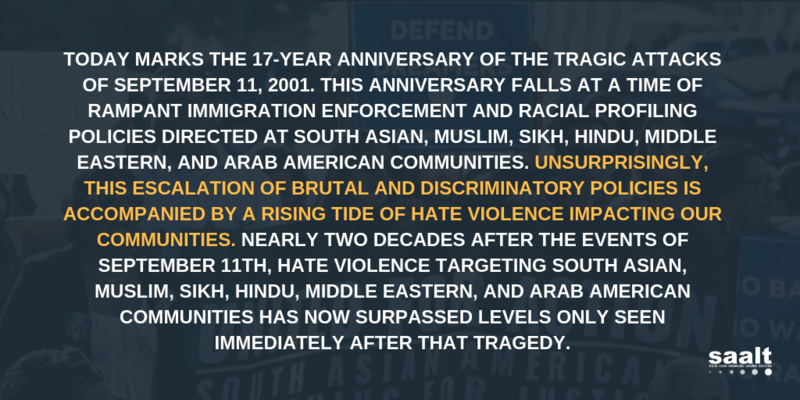 I reviewed several of the videos that were being generated through the It Gets Better Project and I was struck by the daily raw life struggles and barriers that queer, trans*, and gender self-identifying people of color continuously face within the United States—an underserved and often invisible community within the larger LGBTQ movement whose priority focus may not be marriage equality as an end in itself in the larger fight for queer liberation. The LGBTQ community in America is diverse in its population demographics and needs, where the primary episodes of violence originate from a lack of access to health care and housing, alongside constant incidents of police brutality, prison lockups, and homelessness. The root issues that the larger LGBTQ population needs to address immediately lies within an economic, gender, and racial justice framework, and not within the institution of marriage, which is in fact, a tool for a social and colonial control. Throughout the history of the United States, the alignment of privilege and white heteropatriarchy has always propagated the struggles endured by queer and similarly marginalized populations. The legacy of these struggles tends to get dismissed in a majority of mainstream media portrayals around sexuality and gender presentation. I essentially wanted to create a video-based platform for my people (queer South Asians) to informally discuss their non-heteronormative desires and tribulations within the context of their parental upbringing. Through this platform, interviewees can engage and converse with the camera apparatus without the constant need to envision a ‘better’ future or to find an immediate solution for their hardships. This brings me to the reason of why I chose to undertake this somewhat ambitious project, a project that wishes to go against the documentation of the single-issue LGBTQ lives that tend to pervade our news and media outlets. For me, my awkwardness and shyness are characteristics I’ve struggled with for a significant period of time. My sense of proprietorship and humanity originates from the ways my desi and Islamic upbringings have caused me to downplay my introvertedness, especially in a culture where introverts are, to a certain degree, seen as disposable. I felt my anxiety around outlining the mission statement of Project Bandhan was a hurdle in itself, where I would, at times, feel that I don’t possess the confidence or intellectual acumen to bring such a unique project to a successful completion. However, I wanted to own my awkwardness and other internalized self-deprecating feelings that I’ve been told to harbor for a large portion of my life. Through the exploration and ownership of my emotions, I am able to communicate my lived reality in order to seek out commonalities and solidarity with the interviewees’ lived experiences. Our experiences as queer South Asians provide us with a unique angle of vision. As members of an oppressed group, each of us possesses critical insights into the conditions of our specific oppression. Through my 3-day interaction with my fellow peers at YLI who are all working to challenge oppressive structures, I realized the immense value of holding our emotions as a collective, rather than as an individual. Being introverted and awkward and making those qualities work for, rather than against, one’s social justice and future goals are elements that were embraced within the YLI space. As a result, the values that were imparted to me through the Institute will also be deeply entrenched within Project Bandhan’s final product where queer and gender self-identifying South Asians will be able to explore the shifting terrain of parent-child interactions. YLI was indeed one of the most fulfilling training seminars that I’ve attended so far, and the friendships and education that I’ve gained through the Institute will stay with me throughout this lifetime.